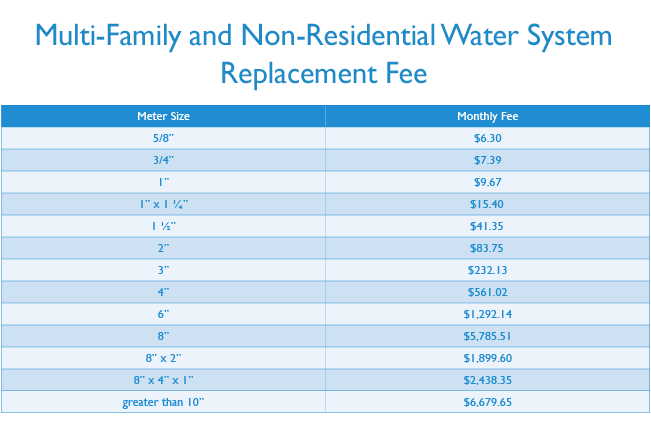 In fiscal year 2016, DC Water modified its existing rate structure and implemented a new meter-based Water System Replacement Fee (WSRF) in order to recover the cost of the 1% renewal and replacement program for water service lines. It is anticipated that the new WSRF will generate $40 million per year. The fee is based on meter size and average flow. DC Water's low income CAP customers receive a 100% credit for this fee.